If you would like to take the lead in organizing a class reunion, or get in touch with some of your classmates to organize a celebration, please don’t hesitate to contact us by phone at 613-562-5800 ext. 3420, or by email at clawRSVP@uottawa.ca. Come join us at the 2015 Common Law Reunion Weekend, celebrating classes whose graduating years end in a 0 or 5. Reunion weekend will be a great opportunity to revisit Fauteux Hall to see the many changes and renovations; catch up with old friends; reminisce on fond memories at your alma mater; and make new memories to last you until your next reunion. We can't wait to see you there! The weekend of September 19-21, 2014 marked many special milestones for Common Law alumni who came back to their alma mater to celebrate their 2014 reunions. Celebrating milestones for classes ending in a 4 or a 9, the reunion weekend brought together alumni from all over Ontario, Canada, the United States, and even Papua New Guinea, to revisit their law school, see the many changes and renovations that have taken place over the years, catch up with old friends and reminisce on fond memories from their law school days. 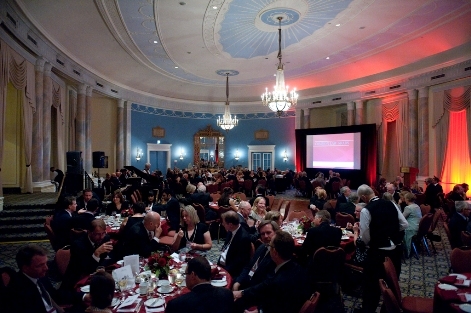 Over the course of the weekend the Common Law Section hosted two annual events: the Dean’s Cocktail Reception Alumni Gala Dinner. The 2014 reunion also launched three new events: the “Last Lecture” series; a 5k run and; a farewell brunch. The weekend of September 27-29, 2013 marked many special milestones for Common Law alumni who came back to their alma mater to celebrate their 2013 Homecoming reunions. Celebrating milestones for classes ending in a 3 or an 8, Homecoming brought together alumni from all over Ontario, Canada and the United States to revisit their law school, see the many changes and renovations that have taken place over the years, catch up with old friends and reminisce on fond memories from their law school days. Over the course of the weekend the Common Law Section hosted two reunion events: the Dean’s Cocktail Reception and the Alumni Gala Dinner. Members of the class of 1993 also participated in a special tree planting ceremony in memory of Richard Bogart (’93), a special classmate who passed away in May 2012 from ALS. On the weekend of September 28-30, 2012, Common Law alumni returned to the law school to celebrate class reunions, restore old friendships and revisit life at the University of Ottawa. The Common Law Section hosted three major events over the weekend, in addition to class reunion events organized by individual milestone reunion classes. The Common Law Cocktail Reception launched the festivities at Fauteux Hall on the evening of September 28. On Saturday, September 29, Common Law picked up the celebrations in the afternoon at the Fairmont Château Laurier with a special event marking the 40th Anniversary of the National Program. Following the National Program celebration, nearly 150 graduates gathered for the centrepiece of Common Law’s Homecoming weekend, the annual Common Law Alumni Gala Dinner. Graduates celebrating class reunions, particularly those from the classes of 1962, 1982 and 1987, showed up in large numbers to enjoy the fabulous meal, followed by dancing to the music of retired Professor Ed Ratushny and his jazz band, The Wave. On the weekend of September 16-18, 2011, Common Law alumni returned to the law school to celebrate class reunions, restore old friendships and revisit life at the University of Ottawa. The law school hosted two major events over the weekend, in addition to class reunion events organized by individual milestone reunion classes. This year, the classes of ’61, ’66, ’71, ’76, ’81, ’86, ’91, ’96, ’01 and ’06 celebrated anniversaries. The Common Law Cocktail Reception launched the festivities on the evening of September 16, and the Alumni Gala Dinner—the defining event of Homecoming weekend—took place at the Fairmont Château Laurier on September 17. Approximately 200 graduates gathered for the dinner, followed by dancing to the music of retired Professor Ed Ratushny and his jazz band, The Wave. On a special Homecoming weekend that marked the golden anniversary of its first graduating class from 1960, the Common Law Section hosted two special events for Homecoming 2010. On Friday, September 24, graduates were invited to return to campus and revisit their law school for the annual Common Law Cocktail Reception. The following night, graduates from the classes of 1960, ’65, ’70, ’75, ’80, ’85, ’90, ’95, ’00 and ’05 reconnected in the Ballroom of the Fairmont Château Laurier to celebrate their class reunions, restore old friendships and remember life at the University of Ottawa. A record number of Common Law alumni returned to the law school over the weekend of September 25-27, 2009 to celebrate their class reunions, renew old friendships and revisit life at the University of Ottawa. The Faculty hosted three major events over Homecoming weekend, in addition to numerous class reunion events organized by individual milestone reunion classes. The inaugural Common Law Cocktail Reception launched the festivities on the Friday evening, while Saturday witnessed the continued success of the popular Tea & Talk for Women Graduates, and the centrepiece of Homecoming weekend, the Alumni Gala Dinner. This year, celebrations highlighted the anniversaries of the classes of ’64, ’69, ’74, ’79, ’84, ’89, ’94, ’99 and ’04. While lightning illuminated the Supreme Court of Canada in the background, thunderous applause filled the Canadian War Museum as an impressive range of Common Law alumni gathered within to celebrate Homecoming 2008. Graduates from over 50 years returned to campus to renew old ties, forge new relationships, and observe how the faculty has changed. The weekend featured class reunion anniversaries for members of the classes of ’63, ’68, ’73, ’78, ‘83, ’88, ’93, ’98 and ’03. The class of ’73 had a reunion on Saturday, September 30, 2006 in the Tsampalieros Atrium at Fauteux Hall.